Tourism WA is a State Government statutory authority and part of the broader economic development portfolio of The Department of Jobs, Tourism, Science and Innovation (JTSI). 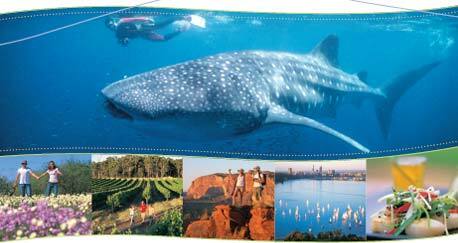 Tourism WA is responsible for promoting Western Australia as an extraordinary holiday destination. Its focus is on marketing the State; developing, attracting and promoting major sporting, cultural and business events; and supporting the development of significant tourism infrastructure and projects, including the development and attraction of aviation to Perth and across the State’s regions. In this role you will develop and implement high level strategies and undertake business development activity (international and regional as required) to attract and grow the State’s international aviation footprint and enhance regional aviation and affordable fares to increase regional visitation. You will also manage and contribute to policy, program and project management activities to meet Tourism WA’s aviation strategy, development and policy objectives. This is a two (2) year, fixed term contract with possible extension. For specific information regarding the requirements of the position please contact Claire Werkmeister, Director Aviation Development and Policy, on (08) 9262 1781. Please click the “APPLY FOR THIS JOB” button and you will be redirected to JobsWA. Please follow the advertising instructions located in the advertisement. If not directed straight to the pool, please key the pool ref into the web search box. Detailed information about the role can be found here, including the Job Description Form.